Multiple ACTAtek Fingerprint and Smart Card units were deployed on the sites for flexible authentication methods. ACTAtek's bespoke platform and standalone server setup allow Victoria Educational Organisation to incorporate log data into their HR existing software. 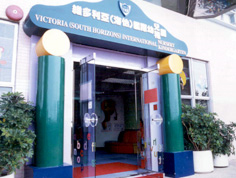 Victoria Educational Organisation had little trouble adapting to the new system and was able to benefit from new technologies that the ACTAtek system offered with minimum disruption. They were pleased with the ease of use the ACTAtek terminal provides to the user and found it surprisingly affordable given the vast set of features it offers and would recommend such unit to others as a result.